La Masseria Camping, a few kilometers from Gallipoli, offers a stay that is not only sea, but also culture and folklore.  Find out more about the traditional events of the Salento region and country festivals held in Gallipoli. Below are some examples of the most famous and popular events. Our Lady of Mount Carmel, the patron of the town against drought. The Carmelite Church is located in the town center and every year we organize a procession with fireworks, which you can enjoy from the town waterfront. Saint Cristina. Religious holiday of the patron saint of the town. In Moro square, there is the chapel dedicated to the Saint, where a statue of her stands. During the celebration, Corso Roma, the main town street, becomes a great celebration of lights and colors, decorated with stalls, street artists, and souvenirs of all kinds, and with lots of food and wine products. The Madonna della Lizza holiday is considered the main religious festival in the village of Alezio. Not surprisingly, the town of Salento, takes its name from the church of Santa Maria della Alizza or Lizza. In the past, in the Middle Ages, the church has experienced a state of disrepair as to be reduced to abandoned farmhouse, and only later it was recovered with dignity. Recently, it has been further restructured, taking out some layers of lime and various paint layers, this has brought to light wonderful frescoes of the past. The Madonna della Lizza is celebrated in Gallipoli on August 15, and extended to August 14 and 16. It was the custom among women who paid homage to the Virgin Mary, to walk on their knees from the village entrance to the church. During the holiday, on the streets of Alezio, as in every other religious festival in the Salento region, you can find stalls of various kinds, marching bands and small concerts.